Since its summer we thought we would share with you a fresh and easy summer salad that takes advantage of the bounty of wonderful veggies and herbs that are so readily available this time of year. 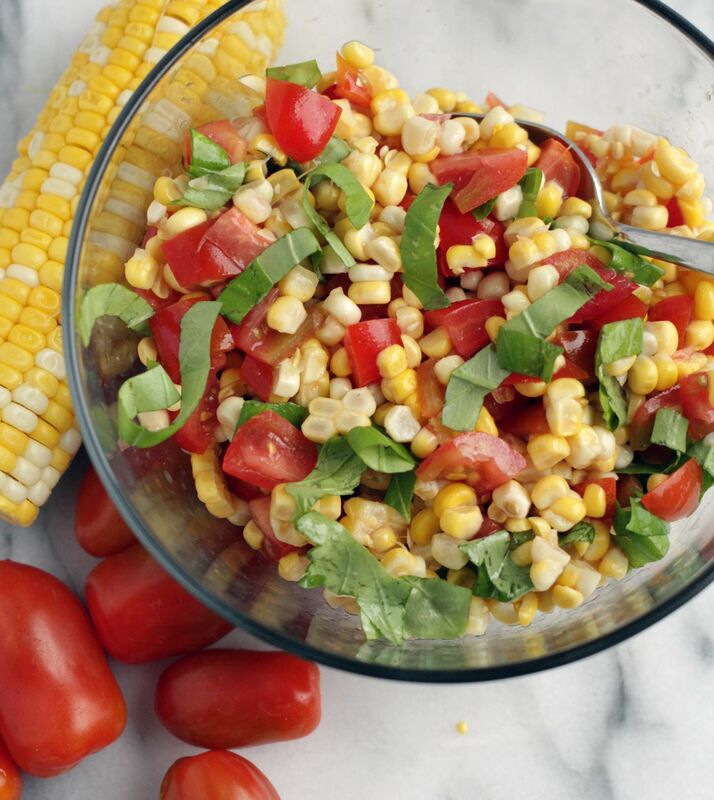 This salad is made with fresh corn, cherry tomatoes, basil and a splash of balsamic glaze. You will love this salad as much as we do; the second it’s made it’s gobbled up! When making this recipe don’t skip the balsamic glaze; it’s not difficult to make and it really is what elevates the dish and adds that extra flavor punch that makes you go yum that is really good, I need another helping. We even have a video to show you how easy it is to make balsamic glaze. We simply love a good sauce. A good sauce is always one of the tricks that good chef’s have up their sleeve. Think about your favorite restaurant dishes, we’ll bet most of them have a good sauce that sits on top. Are we right? 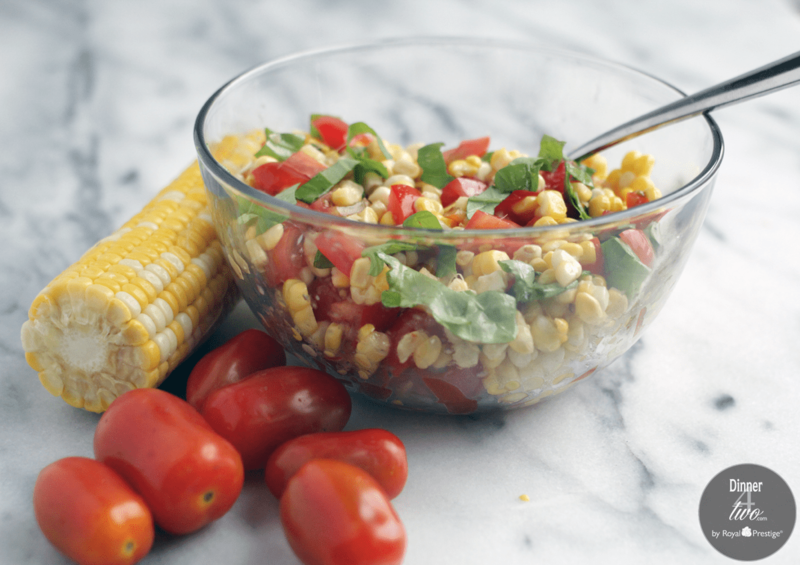 Cooking the corn the waterless way in the Kitchen Charm cookware makes this summer salad recipe a snap to make! We have a video to walk you through this step as well. Really, cooking waterless is the only way to go. 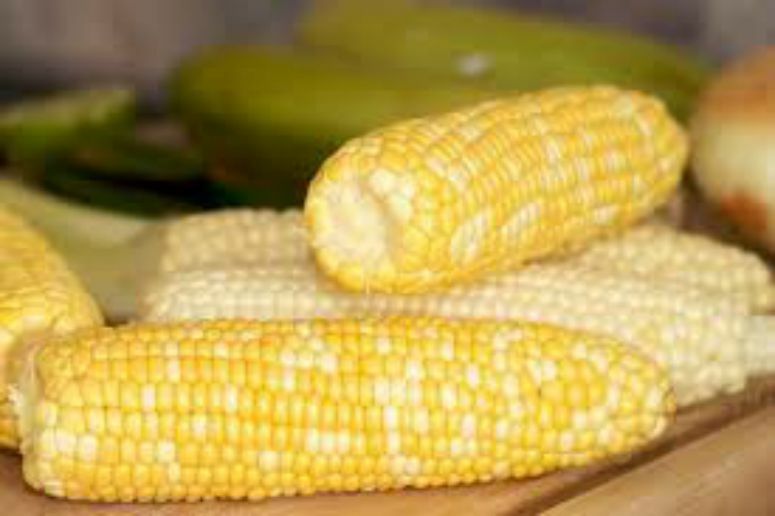 It’s fast, easy and your corn maintains all its sweet flavor, vitamins and minerals by 87%. We think that’s a big deal. 1. Combine the balsamic vinegar and honey in a small saucepan over medium heat. Bring to a simmer and let cook for 10-15 minutes. Remove from heat and let cool competely. It should be the consistency of syrup once it cools. To speed the cooling process you can put it in the refrigerator. 2. Cook the corn in the 4 quart sauce pan. Add water and turn heat to medium -medium high heat with Redi Temp valve open, wait for whistle to blow. Close Redi Temp Valve, turn heat down to medium low and cook for an additional 10-15 minutes. 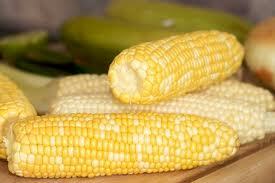 Let corn cool and cut kernels off the cob. 3. 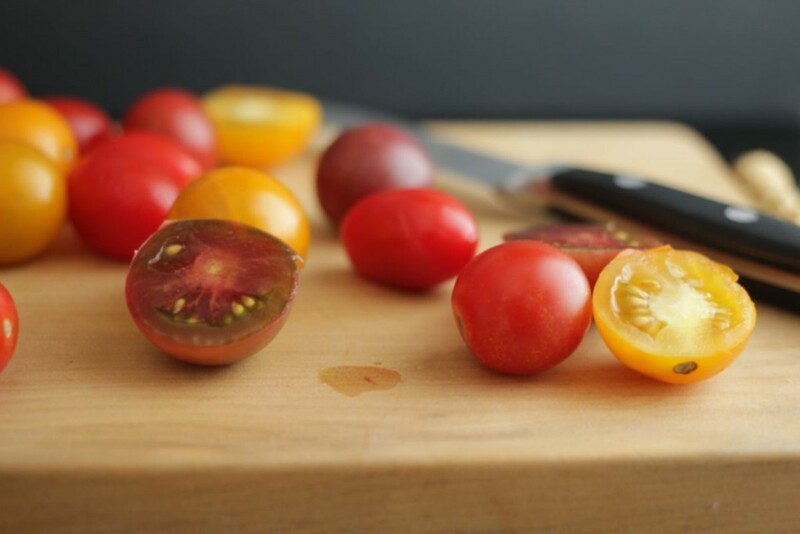 Cut Cherry tomatoes in half and put in medium bowl. 4. Chiffonade chop the basil. 5. Combine the corn kernels, diced cherry tomatoes, basil leaves, olive oil and salt & pepper in a medium bowl let sit for an hour. 6. Before serving drizzle the balsamic glaze over the salad. 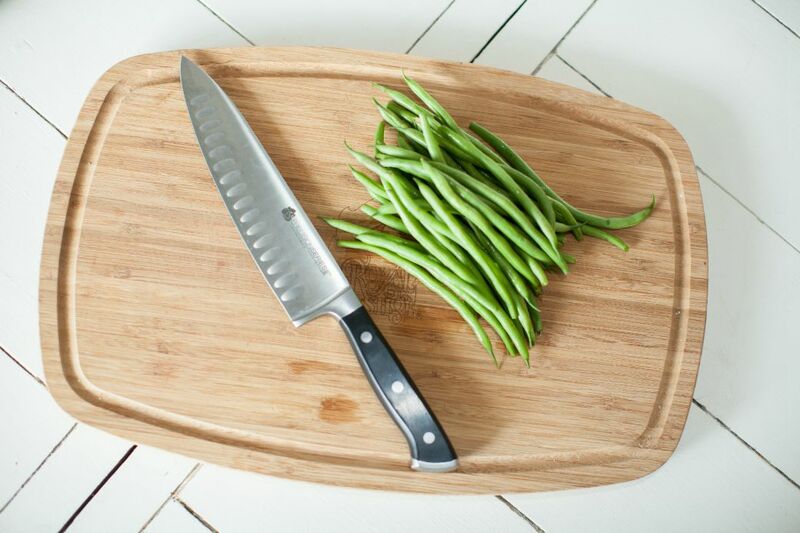 We would love to hear how you liked the summer salad; leave us a comment.